The quaint community of Grahamstown in the Eastern Cape comes alive every year during the National Arts Festival. Last month I spent about two weeks working on the broadcast coverage of the festival. It was such a memorable experience. Not only did I learn alot about Arts Journalism and various aspects of filmmaking, but I also got to meet many interesting people. The internationally-acclaimed film, Tsotsi is based on a novel written by Athol Fugard – one of South Africa’s most loved playwrights. 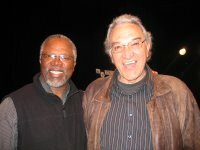 Fugard’s play, Sizwe Banzi is Dead was one of the highlights at this year’s festival, and I was fortunate to have interviewed the lead actor in the play, John Kani as well as longtime friend and producer of Fugard’s plays, Mannie Manim. As a Fugard fan, it was thrilling to get to know him through his closest friends. I also met the members of Remix Dance Project – a dance company based in Cape Town. Their dancers are comprised of abled and disabled people. The dance sequence between a deaf man and one in a wheelchair was so moving. The point of the production was to make the audience aware that disabled people should not be discriminated against just because of their disabilities. 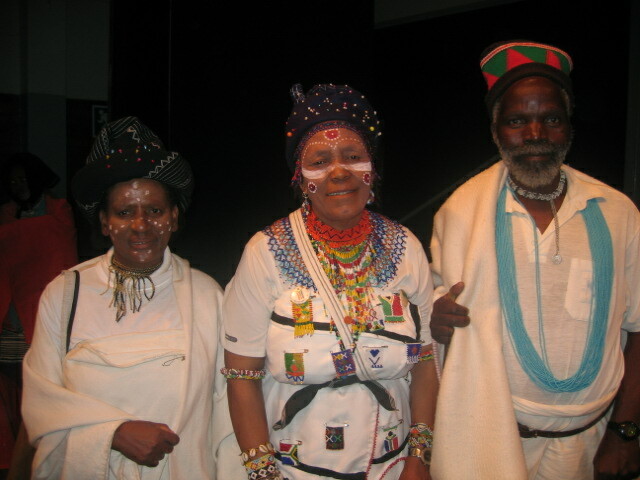 One of the most colourful and interesting productions I watched was a drama production called Umtshato – The Marriage. It was a fusion of dance and theatre which explored the customs and rituals of a Xhosa marriage. After the show the director, Tina Piek told me that the performers improvise each show and that none of it was rehearsed! Another story I covered was the Standard Bank National Schools Big Band. The band is made up of the youngest jazz performers in South Africa. I was so proud of my cousin, Hashil who plays the trombone and contended with many hopefuls from around the country and was placed in the National Schools Big Band. I thoroughly enjoyed my time at the Arts Festival. The best thing for me was that I developed a new appreciation and love for the arts…from theatre, dance, art and jazz. Have a great month, and enjoy the last few days of winter! * To watch highlights of the festival, please visit the CueTV website. They are always very interesting, insightful and socially and politically relevant,especially for your peer-group who are being exposed to issues and problems never before encountered firsthand and face to face in a new,challenging and rapidly evolving open society.